PARIS – June 13, 2018 – Asmodee Digital, the industry leader in digital board games, announced today that Stonemaier Games’ Scythe is now available on Steam Early Access (PC/Mac) for $19.99. Developed by The Knights of Unity and published by Asmodee Digital, Scythe’s digital edition fuses dieselpunk-themed artwork by the game’s original artist, Jakub Rozalski, with a digital interface to bring Scythe to digital audiences while keeping the signature look and feel of the board game. PARIS – June 12, 2018 – Asmodee Digital and Sony Interactive Entertainment are partnering to bring “Ticket to Ride,” the critically-acclaimed railway-themed board game from Days of Wonder, to PlayLink for PS4 later this year. PARIS – June 6, 2018 – Asmodee Digital, the industry leader in digital board game entertainment, announced today it will soon begin publishing games on Nintendo Switch. 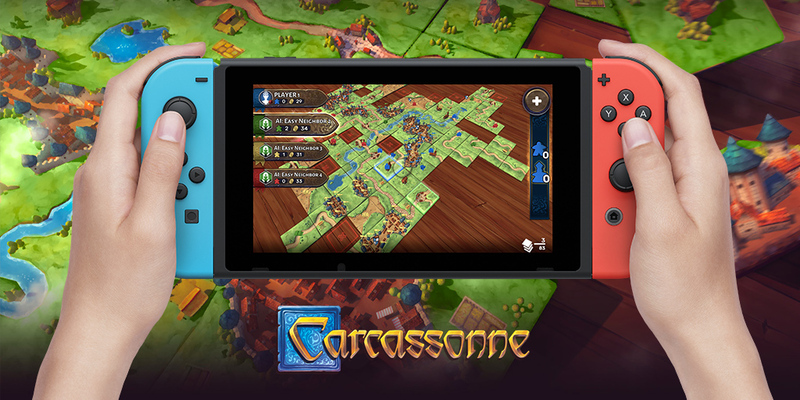 The first release in Asmodee Digital’s console development strategy will be Carcassonne, the digital version of the award-winning, tile-laying board game, already available for Android, PC and Mac via Steam. The Nintendo Switch™ adaptation will be available in Winter 2018. Dec. 14, 2017 – Today Nomad Games and Asmodee Digital unleash the apocalypse, otherwise known as the Harbinger. This couldn’t be more devastating for the characters on the Talisman: Digital Edition board. The Harbinger is the bearer of an ancient prophecy who has arrived to foretell the end of the world. ROSEVILLE, Minnesota – Dec. 9, 2017 – Asmodee Digital and Fantasy Flight Interactive today announced they are partnering to bring The Lord of the Rings™: The Card Game to PC, as a digitally optimized adaption of the best-selling Living Card Game® from Fantasy Flight Games. Fantasy Flight Games revolutionized tabletop card games with the highly successful The Lord of the Rings: The Card Game. As a Living Card Game, The Lord of the Rings: The Card Game relied on a fixed distribution of cards to remove randomness from the purchase model and brought players deeper into The Lord of the Rings universe with a focus on immersive, narrative-driven experiences. Now, Fantasy Flight Interactive brings that same philosophy to the digital card game market with The Lord of the Rings Living Card Game—a completely unique digital card game with a non-randomized approach to card purchasing and a focus on cooperative, story-based gameplay. PARIS – Dec. 6, 2017 – Asmodee Digital today announced the launch of a major update to Abalone, an abstract, two-player marble game loosely inspired by sumo wrestling. In Abalone, players are challenged to push six of their opponent’s 14 marbles off the edge of the board. Only a longer line of marbles can push a shorter one, and with six sides flanking each game piece, players will have to toe the delicate line between defensive and offensive play to come out on top. 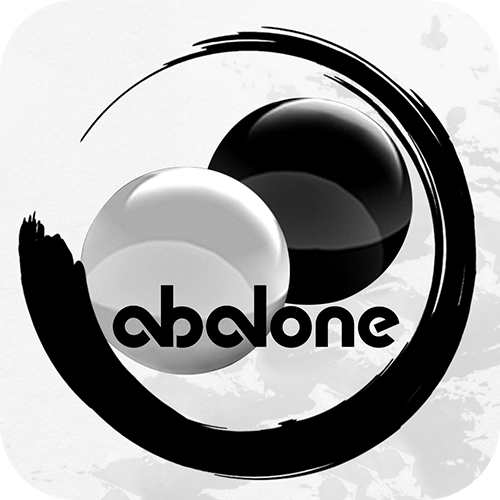 The new version of Abalone is available now on iOS, Android and Steam for Windows PC. PARIS – Nov. 30, 2017 – Asmodee Digital today announced their partnership with Sky Ship Studios to produce the digital release of Gloom, the deck-building game that challenges its players to outmatch their opponents in depressive spectacle, vying to undergo the most miserable mishaps while sabotaging the competition with happy occasions. Gloom will slouch onto Steam in March 2018. The game will be available on tablet platforms later next year.